What better way to learn about what to expect, than to hear what current customers have to say! At last I can exercise again! Both myself and my son loved today. The class was fab, with just the right amount of challenge for me and options for those who didn't want to go all out. The atmosphere was great, so supportive. My son would have happily stayed and played longer. I've come home and booked a block of ten sessions straight away! We loved our first circuits class! My little one had a ball playing with all the toys provided and everyone was really friendly and welcoming. We're already looking to see which other classes we can get to! Would highly recommend. My favourite workout!! I love that I can take my daughter and son along and still manage to get a good work out. I like circuits best as the options are always different, from the power rope to kettlebell swings, theres loads of options. 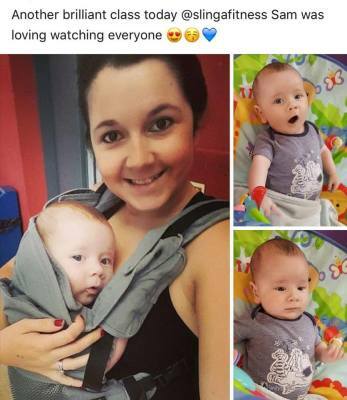 If my little one gets twisty I can just put him in the sling and I get an extra workout by carrying the additional weight!! Would recommend to any Mummy who struggles to find time for their fitness. First class down and it was fab don't know why I was nervous. Can take the kids can't fault it! 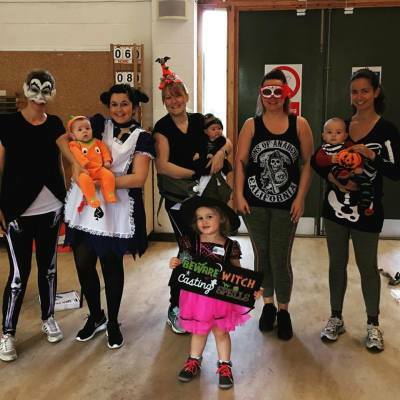 If you want a fitness class with a difference then the babywearing class is for you! Having a weird baby who hates going out in a pram, the traditional buggy fitness sessions were never going to work so I had to give Slinga Fitness a go. Maddy is an excellent trainer & makes the sessions fun as well as giving us all the chance for a cuppa & a chat afterwards. I’ve met really lovely mums & hopefully toned some very underused muscles. Would recommend to anyone with a baby who wants to keep fit, have a laugh & meet new people at the same time! The mums circuit class is brilliant, I have been going for a couple of months now and love it! Lovely trainer (maddy) and such a lovely bunch of people (and kids)! I am new to the area and this was just what I needed, so welcoming and even better that I can fit it in around nursery times for my eldest! My little boy has even made some new friends too! 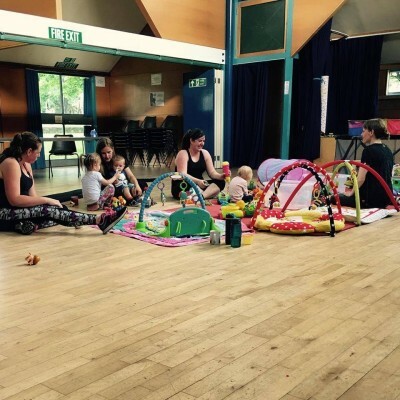 Maddy's babywearing fitness classes are fantastic, just the right amount of challenge and support and I love the chance to have a cup of tea and chat with a fab little group of ladies afterwards while the babies play! I love circuits with slinga fitness!! Each week is different and maddy really challenges everyone individually, I always feel amazing afterwards!! It's a brilliant atmosphere! !